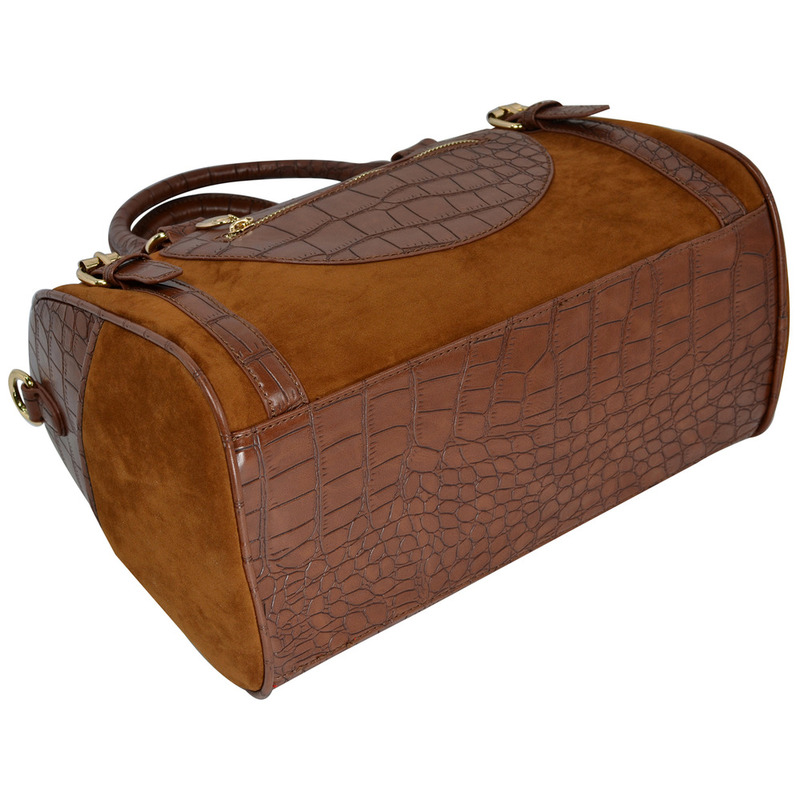 The smooth suede set off by brown faux crocodile accents, looks so exotic and alluring while the crocodile animal print even carries on the back panel. This tote bag also features lovely gold-tone hardware, tubular top dual handles for comfortable carrying, and a detachable shoulder strap for when you need your hands free. 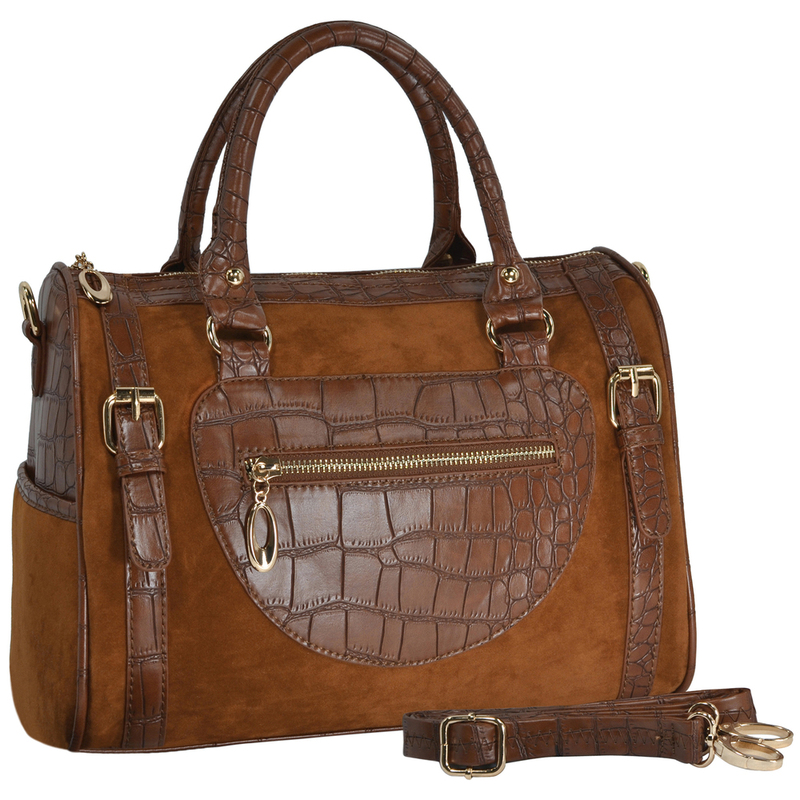 The interior of doctor style handbag shows that this is just as useful as it's stylish, thanks to a roomy zipper compartment with 2 top-open pockets, 2 zippered pockets and 1 large pocket on the other. 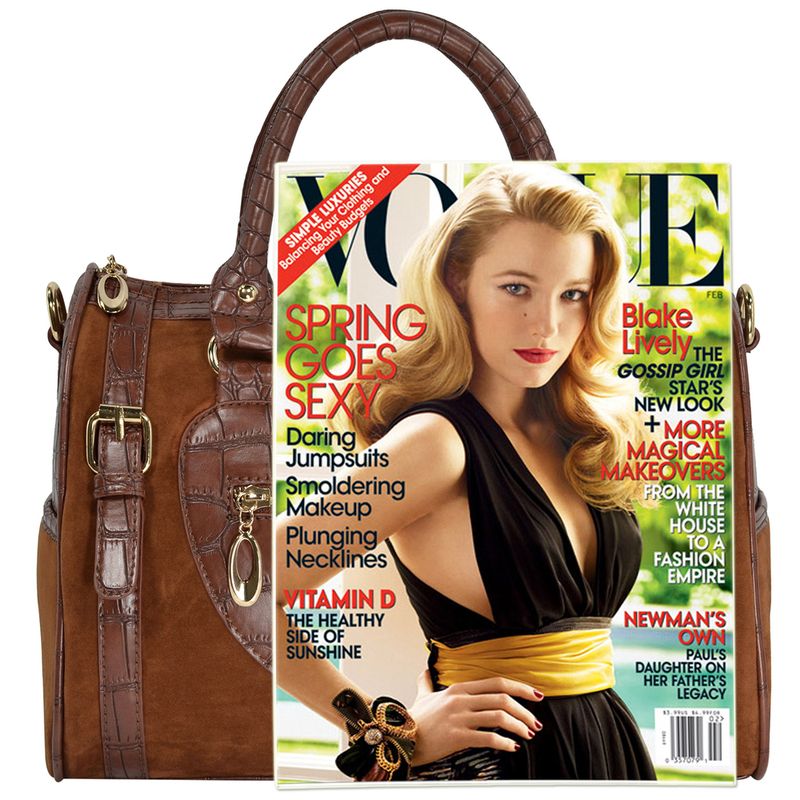 For even more room to stash daily essentials, use 1 zippered pocket on the back and 2 snap-secured pockets on both ends. The office tote purse makes a perfect pair with everything from professional wear to casual jeans-and-top combos to the season's hottest trends. 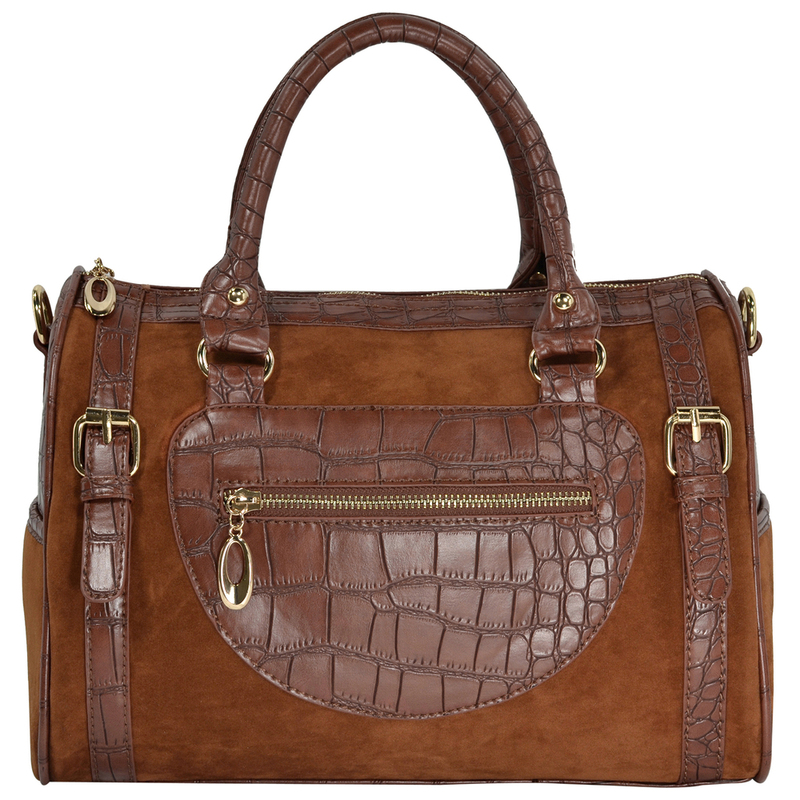 When modish style is what you need, this versatile shopping hobo is sure to deliver.